The bilingual boxes have die-cut holes on some sides to make them resemble “dice” and to serve as windows so the product can been seen and touched without opening the box. The problem was to strengthen their position in the youth market. Jonson named the product “dici” which had to work equally well for both the French-speaking and English-speaking market, designed the packaging and was deeply involved with the marketing. 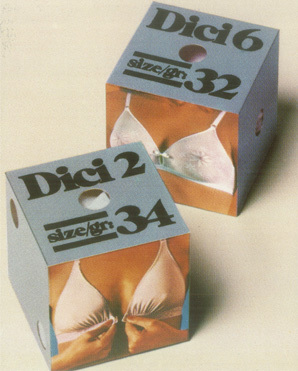 In 1974 a new product line aimed at the younger consumer was introduced under the brand name of Dici. Younger people wanted a more natural, ‘less-bra’ look. In keeping with this demand, Dici styles were all seamless and included both molded and nonmolded stretch fabric designs. 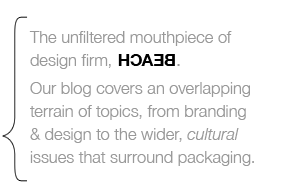 The brand name grew out of a packaging innovation (a cube, like dice, with holes in it so the customer could see and feel the product). 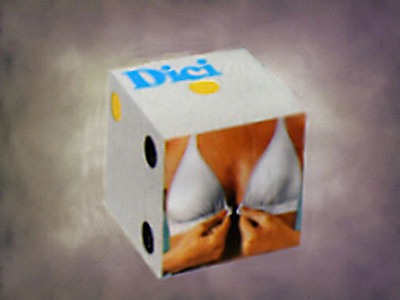 Not sure what “dice” have to do with bras, but the Dici brand also mixed this metaphor with another one involving birds. Is the Dici bra sold anywhere now in 2015? I am in Ontario Canada. I loved the did bra it was the most comfortable bra I ever wore!! Hi Anna, Thanks for commenting. I suspect Dici is not on the market today, although sometimes unused unopened products can be found on ebay. Dici is a long-defunct product. I was very little when it was launched, and I found the commercial hysterically funny. I could just picture the bra turning into a bird (as in the commercial), while someone was wearing it, and the now-braless woman having to chase it, as it flew away.